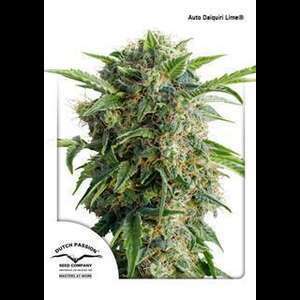 Auto Daiquiri Lime is an XXL Autoflowering Sativa-dominant cannabis strain, which Dutch Passion's team received from a very special clone of California Orange, which was crossed with another very special strain called Sour Diesel. 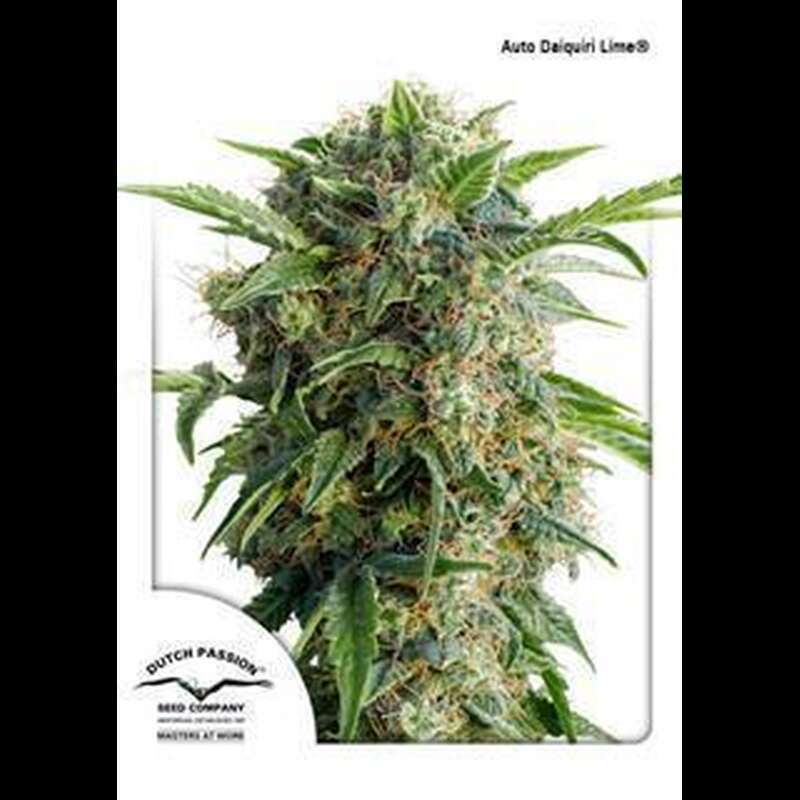 Auto Daiquiri Lime produces 100% autoflowering sativa-dominant plants that can easily exceed one meter or more. This fast-growing strain is harvested after 11 weeks of waiting for germination of the seeds. Auto Daiquiri Lime provides a powerful and fairly balanced effect that simultaneously stimulates a physical and cerebral sensation. As the name suggests, this variety has a fruity and citrusy flavor while displaying a great freshness. Auto Daiquiri Lime is suitable for all types of culture media and grows for an autoflowering strain with stately yields. She is very grateful and suitable for beginners.